Not all of us look forward to Valentine's Day. It's right around the corner, and some of us might feel like we have a cold and frosty disposition to the day filled with candy-colored hearts and gooey sediment galore. We might even feel like we have a black heart. 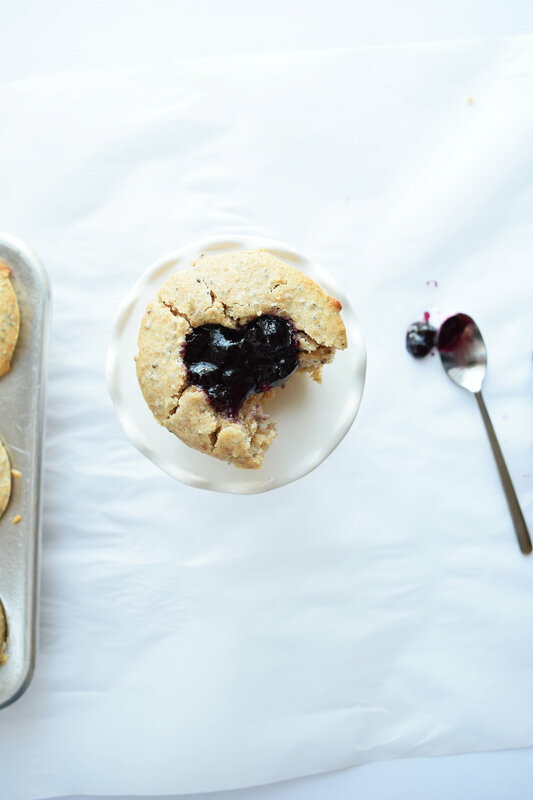 But then someone gives us a batch of these miracle muffins filled with sweet, tangy wild blueberry preserves and the thought of Valentine's Day becomes magic in our hearts. Step 1: Preheat the oven to 350 degrees and spray a 12 cup muffin tin with cooking spray covering both the cups and the tin top. Step2: In a large bowl, combine the flour, chia seeds, baking powder, and salt. Stir to combine. In a medium bowl, whisk together syrup, oil, rind, ricotta, yogurt, vanilla, and eggs. Place the wet ingredients with the dry and stir to combine. Step 3: With an ice cream scoop, place one heaping scoop of batter into each muffin cup. Bake the muffins for approximately 25-27 minutes or until a toothpick inserted into the middle of the muffin comes out clean. Let the muffins cool for 10 minutes. Step 4: With the small cookie cutter, cut a heart from the top of the muffin. 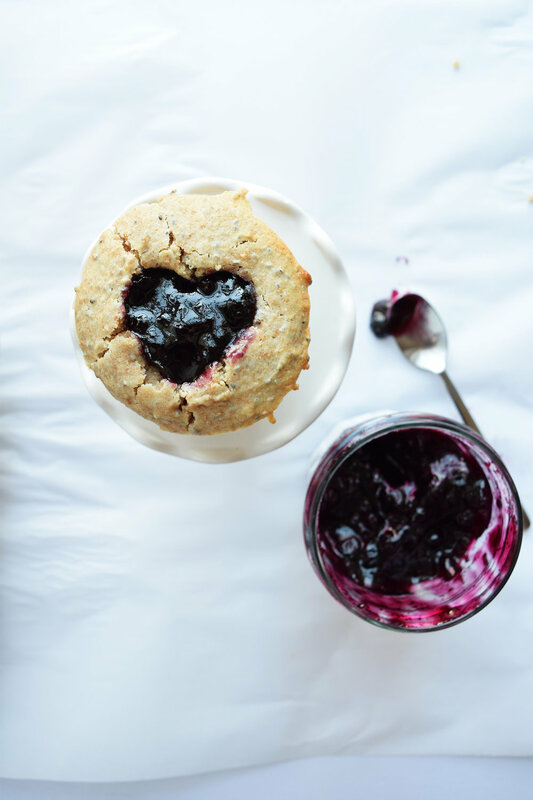 With 1/2 a teaspoon of blueberry preserves, fill the heart shape with the preserves. Watch the magic as these muffins melt hearts everywhere!